Do you want to discover one of the most exclusive vacation destinations in the world? Well, for a truly unforgettable luxury, all-inclusive Bahamas vacation, set sail with TradeWinds as we introduce you to two of our favorite destinations, Abacos and the Exumas. Picture yourself aboard one of our luxury catamarans, gliding across warm and inviting, shallow seas. Nothing for miles and miles, except the cloudless sky above and stunning sapphire waters glistening below. As your Captain drifts into a secluded cay, you feel as though you’ve discovered your own private paradise. Do you sit back and relax with a cocktail, try your hand at deep sea fishing or simply dive into the inviting waters? The good news is; the choice is yours! Surrounded by unspoiled, natural beauty, Abacos and the Exumas offer the perfect distraction from the hustle and bustle of home. Experience a sailors’ paradise and enjoy a range of superb water sports in the calm and shallow waters. Discover incredible marine life, as you explore the world’s third largest barrier reef, snorkel with Hawksbill turtles and Angel fish, scuba dive through expansive Blue Hole cave systems and swim with the famously friendly pigs on Major Cay! On shore, relax under a palm tree on one of the many white sandy beaches or maybe take a romantic sunset stroll with a special someone. Enjoy the wonderfully rich history and culture as you visit quaint and colorful towns and villages. The beauty of The Bahamas is that island paradise is never far away. Considered to be one of the best vacation destinations in the world, The Bahamas offers something for everyone. Beautiful beaches, secret cays, uninhabited islands waiting to be explored, daring dive sites and the chance to experience the famous Bahamian hospitality and chilled lifestyle. As the locals say, “It’s always better in The Bahamas!”, and who are we to argue? Choosing the perfect vacation destination is a tough job, especially when there are so many to choose from. With TradeWinds, when you book onto an all-inclusive Bahamas yacht charter, you’ll enjoy a luxury five-star sailing experience as we share with you the secrets of this fabulous destination. 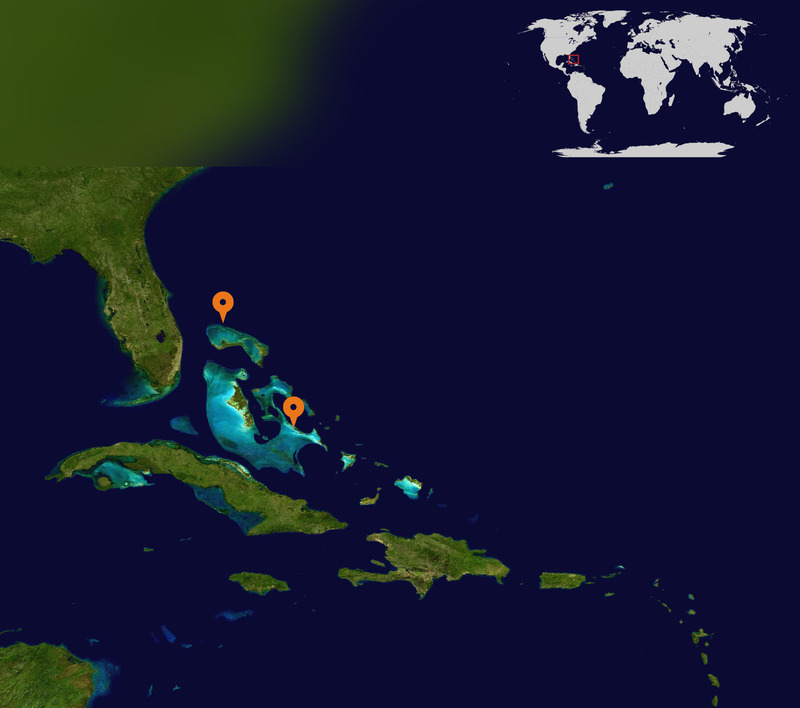 Check out our Map of The Bahamas [link to] to find out why this island nation makes for the perfect dream vacation. Need a little help deciding which yacht charter to choose? Visit our destination pages for more information on yacht charters in Abacos or yacht charters in Exumas. The Bahamas archipelago comprises 700 islands and is an ecological oasis, boasting the clearest water on the planet. And of these 700 islands, only 30 are inhabited! The national sport of the Bahamas is sloop saipng. Kapk is a popular clear and refreshing beer that can be found in every bar on the island. This ‘Beer of The Bahamas’ is also brewed in the capital, Nassau. The name "Bahamas" actually comes from the Spanish ‘Baja mar’ meaning shallow water or sea. Interestingly, the ratio of flamingos, the national bird of The Bahamas to people on the island of Great Inagua is 61:1! The Bahamas is right on the edge of the infamous Bermuda Triangle.